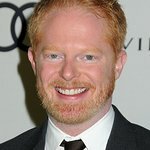 Jesse Tyler Ferguson and husband, Justin Mikita, have once again created an exclusive special edition bow tie by “Tie The Knot for The Tie Bar” for the 2014 Tony Awards. This year’s design feature a pattern of stars against a midnight background, representing the Tony Awards “Where the Stars Align” campaign. Tie The Knot was founded to raise awareness and advocate on behalf of marriage equality. All proceeds benefit United States organizations fighting on behalf of LGBT Civil Rights. This exclusive, limited edition Tony bow tie is available for purchase at www.TheTieBar.com for $25. “When designing the Tie The Knot collection with The Tie Bar, we tried to incorporate the essence of the night yet keep it completely refined for a black tie event,” says Ferguson. Tie The Knot was founded to combine humor, style, individuality, fashion, art, and equality. Founded by Jesse Tyler Ferguson and Justin Mikita, the goal of Tie The Knot is clear: to advocate for the civil rights of gay and lesbian Americans throughout the United States and to look damn good while doing it. 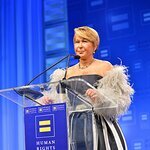 For more information on the fight for equal marriage rights, Tie The Knot will keep an active blog with up-­to-‐date news and developments throughout the country on their website.